This was an experiment where I posted random thoughts throughout the day in a text file instead of in Twitter. Enjoy (but know that I did edit them down). 8:40@jamieO - I agree. Reusable toilet paper requires a lot of hot water in the washer. Use corn cob husks or old magazines instead. 9:43 - Wish paleogenetics would compare modern genetics with known history (e.g. 19th century colonialiazation). Do I need for this to be in public view? 9:50 - Break Time! Then fix truth tables. 9:54 - Like to follow blogs because you can catch once a week (or once every 2 weeks). Twitter seems to be a more intense committment. 4:18 - Maybe the STRONG tag is really bold & Italic (vs. being red). 7/24 - 4:22 PM EDT - Michael Jackson may be a very strange person, but “You Rock My World” is actually a great song. From about 18 months (just for comparison). I actually think the first batch (done only last week) was a little better. My colleague Mary Janzen has an interesing blog post about her trepidation to use Twitter, and I have to say that she's not the only one... I do follow some Tweets periodically (especially now that they are easy to read on the hall monitor), but thus far I have not joined in. I have to agree with Mary that the word "tweeting" does not sound like a serious activity, so I'll replace it with the more academic "microblogging." And yet, I still won't microblog in public. What is my problem anyway? It's a dual problem for me. One is that the microblogging is very micro, specifically 140 characters. It doesn't allow me the space to elaborate on whatever profound point I plan to make. Abraham Lincoln (or maybe someone else) is supposed to have apologized for not having a chance to shorten his first draft, and I knew exactly what the speaker meant. The short haiku like elegance required for a classic Tweet may take longer for me than a rambling blog post. I could be a little more spontaneous (like in the ANGEL Doc meeting), but, seriously, I do not know who at Penn State is watching. I'm still a little unnerved (sorry). I really believe the adage that anything with an http:// protocol is potentially in public view even if it is "password protected"
The other issue is reading time. Unlike blogs, you have to follow Tweets fairly frequently to get the full sense. It's kind of like being on AIM and the cell phone...and when was the last time you saw me on AIM or a cell phone? It's a personal style issue. I do confess I like Twitter as an announcement platform (like PSU Txt), but again how many Tweets are announcements that are critical to me? And finally there's the time taken to WRITE the 140 character messages. I did two days worth of recording my potential Tweets in a text file (see next blog post), and the output was what you might expect (which was a little punchy). For me they were written at pauses in my day when I was a little punchy, so yes there if is a goofy element. After the two Tweeter production days, I went back to my old ways, and found I was less distracted (blissful silence broken by an occasional blog post). That's not to say that I will never get a Twitter account or that I don't unerstand the appeal to so many others. But I will say I have new sympathies for the those who say blogging doesn't work for them. 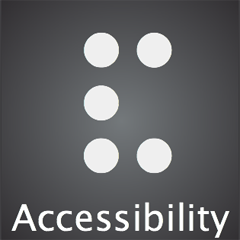 Accessibility for Novice Web Designers? Right now I'm archiving some Teaching with Technology portfolios, which are online teaching portfolios created by Penn State graduate students, and every semester I face the same conundrum. On the one hand, we want to make the process of creating a Web based portfolio as easy as possible. Which means we allow WYSIWYG get editors. With these tools the students create some very appealing, well-designed sites and home pages. So far so good. But then I deconstruct some of these for archival purposes (that is, students give us permission to take their pages and move them somewhere else so they can be preserved in an archive). This is when I get to deconstruct some of these sites and realize that the lovely designs are courtesy of some outrageously clunky code generated by some prominent HTML editors (hint - it's not Dreamweaver, but products some other company whose name begins with an M). Depending on what was on the site in the future, these instructors could be receiving a letter from the Office of Disbality services in the future - some of them are that bad on the back end. Of course it's not really the instructor's fault because they're only doing what the HTML Editors let them do. If I didn't know any better, that's what I would be doing as well...But the problem is that we are encouraging instructors to develop content for the Web, but at the same time trying to train Web developers in accessibility, and sometimes accessibility is tricky and technical. What's the ultimate solution? Surely better tools are the answer, but then you face a complexity problem. Probably the best WYSIWYG editor for accessibility, Dreamweaver, is actually the most complex tool to use (not hideously so, but enough to discourage some users). Unless instructors want to create "professional level" sites, they may not be willing invest the training time. And no matter what tool we use...there will be training needed to achieve optimal accessibility. Even a simple, but standards compliant platform like Movable Type or Drupal requires some knowledgable CSS tweaks every now and again (not to mention remembering to give a title to all your uploaded images so an ALT code is generated). In the meantime, I'm in an interesting quandary as both a portfolio facilitator and accessibility guru. How much accessibility and usability can I insist upon before the Web creation process becomes too burdensome? I doubt it will be enough for full Section 508 compliance. Even worse - how much time can I spend fixing the wretched WYSIWYG code? Accessibility retrofit is such a pain. Now that I've worked with several technical courses, I realize that one of the more important and tricky parts of building a course is making sure students are properly introduced to new terminology in the correct sequence. A basic, but surprisingly common mistake, in forgetting that students are often starting at ground zero. For instance on the reality hair stylist competition Shear Genius , one of the Nexus professionals described a very easy style using just your difussor . Huh? I don't what a difussor is, but I'm pretty sure I don't own one. Of course for professional hair stylists, this is probably a basic tool - but for the rest of us...maybe not. For the record, a diffusor is an extension for your hair dryer which lessens the air flow. It is recommended for curly hair. The same thing happens to all instructors actually - they've lived in their own knowledge domain for so long that they really can't remember not knowing these "basic" concepts. Speaking for myself, I do have a sense that students don't know about fricatives (a type of consonant) yet, but somehow I expect that most people are familiar with the concept of the English Great Vowel Shift (the blank stares do cue me in to that fact that not all students are). Depending on where you are in your curriculum, a definition for one term is basically a gateway a related definitions, which your students may or may not know. Take béarnaise sauce for instance - many cookbooks say to make a hollandaise but use shallots, vinegar and tarragon instead. Which then leads you to hollandaise, "an emulsion of butter and lemon juice using egg yolks as the emulsifying agent" (Wikipedia Hollandaise, 18 Jul 2008). An an emulsion would be...? I think you see the point - the more technical a course is, the more related definitions there are to work with, and it's difficult to judge what a student knows or doesn't know. Maybe a student understands emulsion, but has never heard of tarragon. Shouldn't They Know that By Now? How much do you have to review you teach an intermediate or advanced class? For instance, if you're teaching Accessble Web design and knowledge of HTML is a pre-requisite, shouldn't everyone already about HTML? Ha! Unfortunately, there's always more review than any instructor wants to deal with. In my universe, even if I am teaching a 400-level class in phonetics and phonology, I know I will have to review all the phonetic symbols for the English vowels...again. The students all nod their head in class if they have already seen and memorized these symbols, but their homework says otherwise. It never hurts to review if you can. On the other hand, it is amazing what students have forgotten. My favorite example was a statistics class in which many students had to be reminded that < is "less than" and > is "greater than." Even I say ugh. The good thing about the modern educational system is that it gives students from a wide variety of backgrounds the opportunity to learn what they want. The bad thing about the modern educational system is that it gives students from a wide variety of backgrounds the opportunity to learn what they want. I think a lot of us still envision formal education as an orderly sequence of curricula. You take Widget 100, learn the basics, then move to Widget 200, 300 and so forth. But the reality is that an orderly sequence is not what happens. Some of us come back to school after a long absence. A lot of us transfer (moving between school systems, I missed World history but got American history two years in a row). And finally just about all of use change instructors between courses (it's a fact that you will see Welsh data sometime in my course while my advisor always had data from Southern Italian dialects). And sometimes an advisor recommends a 400-level class to a sophomore even though it's a 497 Special Topics class (Argh!!!). It's no wonder that most instructors are forced to spend part of their time in review. On the other hand, there is an opportunity there...for students to learn from the specialists and for instructors to learn from their students. 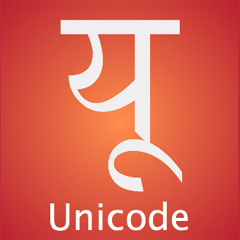 This version is the syllable /yu/ in Sanskrit. Dave also made one that was a therefore operator (⊃) symbol which resembles a sideways U. The & symbol in Braille. Interestingly the author argues for a "medium quality" prototype because wireframes may be so bare that users may not be able to infer functionality. FYI - The problem with "professional" quality is that users get distracted with suggestions on fonts and colors (been there, done that). I've had some success with the "mid level", but I've seen projects where the bare paper does work, so the key seems to be keeping the concept minimal enough for users to focus on function and not fonts. An important, but not always acknowledged, aspect of team work in social loafing or the tendency in some individuals on some teams to slack off and let others fill in the gaps. I think we've all experienced it from either end. It's not a pretty aspect of team work, but since it can impact overall performance, I'm glad there is research on this topic such as this article on social learning on online student teams. If nothing else, I think it gave me some real insights on why some conflicts seem to recur on almost every team and what I may be able to do to mitigate it. Effect of Size - The larger the team, the larger the temptation to loaf. A smaller team may have more productive members than a large one. Distributive Justice - Members who felt they were more likely to share in rewards and recognition were less likely to loaf. Sucker Effect - Actually more like avoiding being a sucker. If a team member senses that they may be "stuck" with a lot of additional work from a social loafer, then that person will become resistant to taking on too much work (possibly to the point of loafing). Task Visibility - Members who felt that outsiders (an instructor, supervisor, audience) were more likely to examine the final product were less likely to loaf. Dominance - If a team leader or dominant team member devalues a member's task/position/contribution, then loafing is more likely to increase. Interestingly, this can lead to a feedback loop because Dominant Person A can either try to do everything or assigning task elsewhere while Person B starts to loaf and gets a reputation of not being able to perform. Do these sound familiar? They do to me. I think there are strategies a team leader can take to mitigate these such as making sure recognition comes to the entire team, taking on largish tasks if possible and understanding and acknowledging every member's contribution (and maybe bring cookies every so often). Instructors in courses can build anti-social loafing strategies into team tutorials. To these, I would also add that if you feel that some is "loafing", it may be important to check with that person if something you don't know about is going on. I remember scheduling a weekly meeting that a student was always late for only to find out he was leaving class on campus and trying to get downtown in 10 minutes - Oops. I think the one thing that does NOT work is asking people to be "a better team player" without acknowledging that social loafing is a real and ever-present hazard of team work and a major source of conflict. P.S. - I should point out that I think many of these findings assume that many team members are more extrinsically motivated (looking for external rewards) than intrinsically motivated (doing it for the love of it), but I think many teams in school and work are powered by extrinsic motivation. We can't love all our duties/courses equally.